A new year, new goals, renewed energy. Yep. 2015 is going to be big. Huge! I can feel it brewing. Can you? I realized I’ve started a New Year tradition, every January I re-open my Beyond Freedom Education eBooks to page one, volume one, to help guide, encourage and motivate me to succeed in my new goals. What a great way to get start a new year – begin the way you intend to finish it. Committed to personal leadership development and your success. There’s something that makes my body buzz when I start BFE from the beginning. It’s a combination of the excitement of the journey ahead; the joy in putting together a plan for a successful year; and envisaging my Future Self celebrating each accomplishment. High five! Using the BFE lessons, guidelines and exercises ensures I stay focused on my priorities and goals to ensure I achieve success in every one. It’s so easy to lose yourself in the list of New Year’s resolutions and start them all, but hardly finish any. Make this year different. 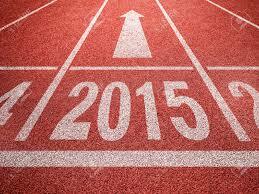 New dreams, new enthusiasm, renewed BFE mindset for 2015… let’s go! What new beginnings are you embarking on this year? Yeah a new year ahead. I know the feeling of not keeping promises, with bfe im able to re-prioritze what my goals are for this year, now its time to make some things happen. I love your New Year tradition of starting your Beyond Freedom Evolution on the first of January for a rockin’ start to your year! I also feel that 2015 is going to be huge! Inspiring post Amy! great idea to start BFE at the start of each year, it makes so much sense! for 2015 I am leaping into the world of independence, I will be moving into a new home, in a new area with entirely new potential, as well as be travelling new places in the world and Australia, making new friends and new experiences – I’m so excited! I can feel your energy going through the roof, Amy, and it’s wonderful! As Simon suggested I’ve made some SMART goals- Specific, Measurable, Attainable, Realistic, and Time-relevant. Nothing too scary or too easy. And most of all, to be happy regardless of what is happening or not happening! I loved your post Amy – I can feel your energy vibrating so high…and I’m feeling it myself too. I’m really excited about what I am working towards this year, more than any before. Through everything Beyond Freedom Evolution and our training calls with Polaris Global has taught me I feel so much better prepared to plan, take action and go get those goals! This year will be different….because I am different! Yes…Yes…Yes! I love the energy and vibes coming from this post and the wonderful feedback. Wow…Wow..Wow! We all feel the energy that’s vibrating from 2015–An 8 universal year. It’s considered an 8 year because when you add the individual digits of the year–2+0+1+5=8, If you’re a fan of numerology. 8 turned sideways is the symbol used for the infinity sign. This Number 8 universal year acts as an amplifier for all things, good or bad. And that energy is double amplified. So let VIBRATE from that positive space of abundant prosperity in all areas of our live and let Polaris Global lead the way! What a perfect way to see in 2015 with Polaris Global and my BFE! My aim is to keep it simple this year, be consistent and methodical. Im not quite finished ACTION in BFE for the year but starting a fresh is a great way to bring new alignment as I complete the rest of action. I have no ‘resolutions’ only clarity and focus to see the year through. Love that you’ve started your BFE right from page 1 again this year Amy – that’s a true commitment right there for sure. I loved starting this year with my list of Disciplines in mind – at the end of last year Shane spoke about the “Disciplines we deserve to improve on” and one by one I’ve been improving on them so far this year and seeing great changes from them already. I’ve also headed back to some of the early chapters in BFE as well, love it!